...is designed to provide you some general context regarding how autopoietic theory originated, how it developed, and where it stands now. Autopoietic theory is the term I use to denote the work of Chilean biologists Humberto R. Maturana and Francisco J. Varela (originally labeled the biology of cognition). ...where you will be provided more detailed presentation of the key elements in this theory. ...and learn even more about autopoiesis and enaction, the Observer Web offers you the largest single collection of materials and links for further exploration of these topics. The literature cited in this brief tutorial is but a small subset of all the materials listed in the comprehensive Bibliography available here at the Observer Web. Guidance for more detailed exploration of this field can be found in the Study Plan available here at the Observer Web. Key articles and other materials available online can be accessed in the Observer Web's Online Reading Room. To support more 'industrial strength' exploration, a massive compilation of this field's terminology and key concepts can be found in the Encyclopaedia Autopoietica. Finally, in-print books relevant to this field can be accessed through the Observer Web's Book Shop. This initial section is designed to orient you in preparation for the remainder of the Tutorial. It will present some of the key observations and issues which led to the creation of the biology of cognition / autopoietic theory. These in turn describe some important aspects of the perspective from which this work has proceeded. This section ends with a very brief description of the theory's merits and the fields within which it has been applied to date. You can then proceed to an introduction to the theory itself. There is an essential circularity in living systems. Living systems exhibit a sort of circularity in their form and structure. This is evident when we examine the way organisms are constituted by their components. These components are interconnected so as to make up a single whole structure. No single component is either a starting or ending point for this set of structural connections, because this set cannot be reasonably described as a linear series of dependencies. Instead, it is a web of interdependencies in which each component is mutually dependent on all the others in 'adding up' to the entirety of a viable structure. If you were to start with any given component and trace its structural dependencies on neighboring components, then trace the dependencies of those neighbors to their neighbors, etc., you would eventually come back to the first component as something upon which one or more other components are themselves reliant. Because this brings you back to the original point, the structure evidences 'circularity' with respect to its structural constitution. Living systems are not just static structures. We ascribe 'life' to them because they're dynamic. We can find another sort of circularity in their internal operations. These internal operations are 'circularly' interconnected in the same sense that the components are. There is something about the identity and unity of a living system which is maintained by these internal operations -- something which can be influenced by events in the living system's environment, but which is specific to the living system itself. You can move the living system to another environment, but (so long as it can successfully survive) this circularly-interconnected network of internal operations will persist. These operations evidences no intrinsic 'purpose' beyond maintenance of the living system's constitutional and configurational integrity. There is an essential circularity in a living system's experience. The course of actions ('responses') observed for a given living system exhibits a sort of circularity in the sense it is (at least partially) repetitive. The exact trajectory of these courses of action is mediated 'internally' by the organism's capacities for action. In other words, what the organism will do (and remain living) will be circumscribed by the range of things the organism can do. Because these capacities are in turn qualified by the living system's circularities of form, configuration and internal operations, similar circumstances will result in similar actions. Correspondingly, the course of situational transitions affecting the organism ('stimuli') is mediated 'externally' by those potentials the world affords. Even though it is the organism's own configuration which determines its capacities for action (and hence its specific actions), the 'environment' influences the overall course or trajectory of the situations encountered, and hence the series of resulting actions. As such, there is a 'circularity' in the reciprocal interplay between the living system and its 'environment'. The 'circle' of this interplay cannot be reasonably said to have a starting point (except the point at which the living system originates). It cannot be said to have an ending point (except the point at which the living system ceases to be living). As such, we cannot predict the living system's course of activities based on 'first' or 'last' causes. Because of this, the course or trajectory of reciprocal engagement between a living system and its observed 'environment' is not reducible to exclusive determination by one or the other. There is an essential circularity entailed in exploring 'cognition'. There is no approach to exploring or explaining cognition which does not entail and employ the very faculties being explored and explained. We are living systems, and we exhibit 'cognition'. There is no way for us to address, much less explain, our cognitive abilities without employing those same cognitive abilities. To date, the primary response to this paradox has been to ignore it and proceed with respect to a presumably fixed fundament (a frame of reference taken as a 'given') external to our act(s) of cognition. Once such a fundament has been specified, all explanations are framed in terms of linear cause-and-effect. Phrased another way, conventional enquiry obscures or denies the essentially circular character of living and cognizing by attempting to treat the phenomena as something which can be 'laid out in a straight line' of explanatory constructs. Where the presumptive fundament is 'objective reality' (i.e., the world as it is presumed to obviously be), the mediation between situation and action is explained in terms of ordered inference with respect to a model of that reality. The typical approach employed in devising such models is reduction of the subject phenomenon into atomic objects (components, constructs, etc.) from whose character everything can be explained. Although it seems effective in (e.g.) physics, this approach breaks down when confronted with the tacit, extralinguistic, emotive, and/or intuitive character of that which we humans seem to do. The objectivistic basis for this conventional approach is further disputed by recent trends toward (a) more commonly seeing ourselves operating in multiple 'worlds' (particularly social ones) and (b) increasingly acknowledging the degree to which each of these 'worlds' is molded by contextual and conceptual factors intertwined with the very act of engaging it. How can we address circularity without 'circular reasoning'? In recent decades, there have been a number of attempts to devise 'holistic' or 'systemic' frameworks addressing our nature from a perspective more useful than that of objectivism. This is a difficult pursuit. Once a presumed (and presumably knowable) 'real world' ceases to serve as a fixed (and presumably known) base from which to build, the comfortably linear progression of conventional explanations is less obtainable. The farther one gets from explanatory reliance on atomic 'objects', the less able one is to link explanations with discrete elements and pursue proof through experimental demonstration or rigorous inferential means. As a result, alternative theories must often be judged with respect to their overall explanatory coherence. Unless they can be grounded in demonstrable facts, such theories run the risk of being seen as 'circular' in the negative sense of 'deducing X from a presumption of X itself'. The Answer: By employing a rigorous framework addressing these essential circularities. There is one such 'systemic' framework addressing living systems, their phenomenology, and their cognition in terms of these essential circularities. This framework -- originally labeled the biology of cognition -- originated over three decades ago with Chilean biologist Humberto Maturana. His 1969 paper 'Neurophysiology of cognition' (Maturana, 1970) first presented these ideas in English. During the 1970's Maturana, often in conjunction with his student Francisco Varela, published a series of papers in which this framework was progressively refined. By the mid-1970's, Varela began exploring selected themes on his own, but staying within the original explanatory lexicon and conceptual framework. The body of conceptual work that has accumulated over the subsequent years -- termed autopoietic theory -- is the focal subject of this Website. Autopoietic theory directly addresses and successfully analyzes the basic configural and operational circularities of living systems. The theory's foundations are laid out in detail, and their consequences are delineated with considerable care. The theory has been invoked and applied in diverse fields including immunology, psychology, management science, human-computer interaction, family therapy, sociology, economics, postmodern philosophy, and public administration. Building upon themes from biology of cognition / autopoietic theory, Varela has recently outlined an alternative to prevailing cognitivistic and connectionist models of cognition -- an enactive cognitive science. The consequences of autopoiesis and enaction thematically parallel the foci of other current analyses of humans and their activities in terms of (e.g.) systemics, complexity, and subjective experience. Unlike some of these other approaches, autopoietic theory obtains focus on the only element common to the range of such topics -- the human herself, operating as an observer. It accomplishes this by shifting explanatory focus from atomic units in an objective world to essential relations among processes operating 'circularly' to constitute the organism as a living system and the observer as a cognitive organism. As a consequence, the essential circularities noted above are neither neglected nor avoided as paradoxes. "Everything said is said by an observer." The qualification of all 'knowledge' with respect to a given observer is both the epistemological foundation and the explanatory focus of autopoietic theory. "All knowing is doing, and all doing is knowing." The observer's 'cognition' is a process involving the entirety of her interactivity, not just abstract mentation. As such, cognition cannot be segregated from praxis. This completes your background orientation to the issues and themes which form the basis for the biology of cognition / autopoietic theory. If you wish to learn more, the next step is an introduction to the theory itself. 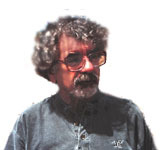 Humberto R. Maturana originally studied medicine at the University of Chile and biology with J.Z. Young at Oxford before carrying out pioneering work on neurophysiology at Harvard during Ph.D. and post-doctoral studies. In the early 1960's at MIT, his research led to a landmark paper, "What the Frog's Eye Tells the Frog's Brain", which established a novel perspective on the interplay between cognition and neurophysiology. As the 1960's progressed, Maturana began to critically question the prevailing notions of cognition. The further he proceeded, the more he realized he would have to completely redefine the phenomenology of the living in terms of the organism itself, so as to avoid superfluous and confusing abstractions. This in turn forced him to define living systems. "The Biology of Cognition is an explanatory proposition that attempts to show how human cognitive processes arise from the operation of human beings as living systems. As such, The Biology of Cognition entails reflexions oriented to understand living systems, their evolutionary history, language as a biological phenomenon, the nature of explanations, and the origin of humanness. As a reflection on how we do what we do as observers it is a study in the epistemology of knowledge. But, and at the same time as a reflection on how we exist in language as languaging beings, it is a study on human relations." (1946-2001) Francisco J. Varela was a student and colleague of Maturana's. He originally studied with Maturana in Chile and then worked on mathematical biology with Heinz von Foerster at the University of Illinois and cybernetics at the University of Colorado. During his student period, Varela served as a frequent co-author of the papers that transformed Professor Maturana's original vision into a theoretical framework with a specific lexicon. This framework claimed the essential feature of living systems was autopoiesis -- a system's self-production of the components realizing its organization (its definitive processual configuration). A living system is any system exhibiting autopoiesis in the physical space. Most recently, Varela was the Director of Research at CNRS (National Institute for Scientific Research) at the laboratory of Cognitive Neurosciences and Brain Imaging (LENA) located at the Salpêtrière University Hospital in Paris. He served as the head of the Neurodynamics Group and a member of the Senior Faculty at CREA, Ecole Polytechnique. Through the early 1970's, the theory was extended and refined in a series of papers by Maturana, often co-authored with Varela. Two of the key articles ('Biology of Cognition' [Maturana, 1970] and 'Autopoiesis: The Organization of the Living' [Maturana & Varela, 1973]) were reprinted together in a 1980 volume entitled Autopoiesis and Cognition: The Realization of the Living. In the mean time, Varela had published a 1979 volume entitled Principles of Biological Autonomy, which extended the scope and depth of the earlier papers. These two books are the cornerstones of the theoretical literature in this field. During the 1980's, Maturana and Varela collaborated to produce The Tree of Knowledge -- an overview of their ideas for general consumption. This book has served to introduce a wide (and growing) audience to their work. Most recently, Varela (in collaboration with Evan Thompson and Eleanor Rosch) has outlined an agenda for an enactive cognitive science in the 1991 book The Embodied Mind. The subject of enaction will be discussed later in Tutorial 2. "Cognition is a biological phenomenon and can only be understood as such; any epistemological insight into the domain of knowledge requires this understanding." Maturana's early experimental work in neurophysiology and perception (Maturana et.al., 1960; Maturana et.al., 1968) led him to question information-theoretic notions of cognition. The theory he subsequently created was originally intended to address issues theretofore subsumed under studies of 'cognition' and/or 'perception'. The theory's scope has not remained limited to those issues. It builds from its cognitive base to generate implications for (among other things) epistemology, communication and social systems theory. These additional foci have traditionally been placed under the jurisdictions of (respectively) philosophy, linguistics, and sociology. Why, then, should we consider them a subject of concern for a biologist? Because in all these areas, we are exploring phenomena which are manifested by, or mediated through, individual biological entities. As a biological phenomenon, cognition is viewed with respect to the organism(s) whose conduct realizes that phenomenon. In autopoietic theory, cognition is a consequence of circularity and complexity in the form of any system whose behavior includes maintenance of that selfsame form. This shifts the focus from discernment of active agencies and replicable actions through which a given process ('cognition') is conducted (the viewpoint of cognitive science) to the discernment of those features of an organism's form which determine its engagement with its milieu. This orientation led to a systematic description of organisms as self-producing units in the physical space. The principles and definitions making up this systematic schema will be termed autopoietic theory's formal aspects. Deriving from this formal foundation a set of operational characteristics (e.g., self-regulation; self-reference), Maturana, and later Varela, developed and extended a systemic explanation of cognition and a descriptive phenomenology. The principles and definitions making up this systemic description will be termed autopoietic theory's phenomenological aspects. Autopoietic theory has been applied in diverse fields such as software engineering, artificial intelligence, sociology, and psychotherapy. A domain is a description for the 'world brought forth' -- a circumscription of experiential flux via reference to current states and possible trajectories. the foregoing plus all potential states of relation and/or activity among the given unities (e.g., domain of interactions). "...the set of all interactions into which an entity can enter..." (Maturana, 1970: reprinted in Maturana & Varela, 1980, p. 8). "...the set of all relations (interactions through the observer) in which an entity can be observed..." (Ibid.). That set of actions and interactions "...defined by the properties of the unity or unities that constitute it, either singly or collectively through their transformations or interactions. "(Varela, 1979, p. 46). the set of "... all the interactions in which an autopoietic system can enter without loss of identity..." (Maturana & Varela, 1980, p. 136) An observer's cognitive domain circumscribes "...all the descriptions which it can possibly make." (Op. cit., p. 119). The notion of 'domain' is particularly useful in addressing actual systems (e.g., enterprises). By identifying, delineating, and sorting out the relevant domains in which enterprises (and their subcomponents) operate, analysis and planning are greatly facilitated. "Space is the domain of all the possible interactions of a collection of unities (simple, or composite that interact as unities) that the properties of these unities establish by specifying its dimensions. It can be said, of a composite unity on the one hand, that it exists in the space that its components specify as unities because it interacts through the properties of its components, and, on the other hand, that it is realized as a unity in the space that its properties as a simple unity specify. Once a unity is defined, a space is specified." The term space is typically reserved for the context in which unities are delineated -- a static referential background within which systems are defined. The only specific 'space' included in basic autopoietic theory is the physical space -- i.e., the world of matter and energy addressed by (e.g.) physical sciences. Both Maturana (e.g, 1978a) and Varela (1979) make allowance for other spaces in which unities can be discerned, but neither has explicitly delineated examples of autopoiesis in other spaces. "That which is distinguishable from a background, the sole condition necessary for existence in a given domain. The nature of a unity and the domain in which the unity exists are specified by the process of its distinction and determination; this is so regardless of whether this process is conceptual or physical." "...[A]n entity, concrete or conceptual, dynamic or static, specified by operations of distinction that delimit it from a background and characterized by the properties that the operations of distinction assign to it." It is important to understand that autopoietic theory addresses systems, and that these systems are to be addressed with respect to the observer observing them. In accordance with this observer-centric approach, Maturana and Varela define a 'unity' to be the most elementary object of perceptual / cognitive reference. They then lay the basis for addressing systems (comprised of multiple discernible elements) by distinguishing between two types of unities -- simple unities and composite unities. "We distinguish a simple unity as an entity in which we do not distinguish components, and which is, thus, characterized only by the properties with which it appears endowed by the operation of distinction that brings it forth. We distinguish a composite unity as a continuum in which we perform further operations of distinction, and bring forth additional unities that are specified as a components in relation to the simple unity that they integrate as a continuum prior to its decomposition. Therefore, a component exists as such only in relation to the composite unity that it contributes to constitute (integrate) as a unity that can be distinguished as a simple unity (a continuum) of a particular kind." Because this account of unities is based on the observer's operations in distinguishing them, it follows that the observer's engagement with a system seen as a simple unity (as a unit whole) is different from her engagement with the system seen as a set of constituent elements. The observer brings forth from the ambience a unity, which she can address as either simple (i.e., a unary whole) or composite (a set of components). The use of the word "either" is deliberate, because the observer cannot address a unity as both simple and composite at one time. The phenomenological domains in which the unary whole and the components are realized (as observable entities via engagement with the observer) are distinct. Any intersection between these domains lies wholly with or through the observer. Naively construing these distinct domains as identical can lead to potentially anomalous or erroneous descriptions and explanations. There is an old saying in cybernetics and systems theory that for a system "the whole is more than the sum of its parts." The above-cited points explain why such an apparent disjunction should be apparent. An observer observing the set of constituent elements comprising a composite unity can see "the sum of the parts", while the "whole that is more" can only be seen if that observer shifts to addressing the system as a unit whole (simple unity). This can be illustrated in more detail. Varela (1979) distinguishes between two viewpoints one can take on a composite unity. The first (the behavioral view) addresses the composite unity as a simple unity (i.e., as a whole). The second (the recursive view) addresses the composite unity in terms of its participating components. Each of these two perspectives Varela labels a cognitive point of view (CPOV). A cognitive point of view specifies the distinctions, indications, and basic stance via which an observer engages a particular unity. I have prepared a more detailed presentation illustrating the CPOV as well as the behavioral and recursive views. This presentation is available at the Inside versus Outside Focus File page here at The Observer Web. For the purposes of this tutorial, this is sufficient to give you some basic orientation to unities and the distinctions an observer must face when engaging a system as either a simple or a composite unity. "The relations that define a machine as a unity, and determine the dynamics of interactions and transformations which it may undergo as such a unity, constitute the organization of the machine." serve as the core 'identity' which is maintained in spite of dynamic changes over time. In autopoietic theory, this set of defining relationships is termed a system's organization. A system's organization defines its identity, its properties as a unity, and the frame within which it must be addressed as a unary whole. "In a composite unity, be this static or dynamic, the actual components plus the actual relations that take place between them while realizing it as a particular composite unity characterized by a particular organization, constitute its structure. In other words, the structure of a particular composite unity is the manner in which it is actually made by actual static or dynamic components and relations in a particular space, and a particular composite unity conserves its class identity only as long as its structure realizes in it the organization that defines its class identity." In effect, a system's organization specifies a category, within which there may be many specifically-realized instantiations. Specific systemic entities exhibit more than just the general pattern of their organization -- they consist of particular components and relations among them. "The organization of a machine (or system) does not specify the properties of the components which realize the machine as a concrete system, it only specifies the relations which these must generate to constitute the machine or system as a unity. Therefore, the organization of a machine is independent of the properties of its components which can be any, and a given machine can be realized in many different manners by many different kinds of components. In other words, although a given machine can be realized by many different structures, for it to constitute a concrete entity in a given space its actual components must be defined in that space, and have the properties which allow them to generate the relations which define it." "...in a toilet the organization of the system of water-level regulation consists in the relations between an apparatus capable of detecting the water level and another apparatus capable of stopping the inflow of water. The toilet unit embodies a mixed system of plastic and metal comprising a float and a bypass valve. This specific structure, however, could be modified by replacing the plastic with wood, without changing the fact that there would still be a toilet organization." The organization / structure dichotomy is graphically illustrated in the work of the 16th Century Italian painter Giuseppe Arcimboldo, who devised remarkable portraits in which the faces are composed of (e.g.) fruits, vegetables, seafood, etc. His fanciful art realized a discernible facial 'organization' through a 'structure' of novel components. Below is his portrait (of Emperor Rudolph II) entitled Vertumnus. How do you recognize this pile of fruits and vegetables (the structure) as a face? Because of its essential organization, which is illustrated below as a schematic pattern. In other words, the schematic is a simple analogy for the 'organization' of a face. We can recognize this 'organization' (as a face, in this case) even though Arcimboldo has instantiated or realized it with a novel 'structure' (i.e., fruits and vegetables, rather than flesh). The complementary distinction between organization and structure is very useful in delineating and analyzing systems' form and function -- for example, describing enterprises as having generally invariant form in spite of specifically changing components. "Anything said is said by an observer." Up to this point in the Tutorial, we have been using the term 'observer' in the colloquial sense of 'one who observes'. The biology of cognition / autopoietic theory was developed to explain how it is that the observer observes. Because of this, the theory offers a specific analysis of what constitutes an observer. This analysis is framed with regard to the constitution of the observer as a biological system. Maturana's initial work on cognition emphasized individual living systems. As a result, autopoietic theory has as its foundation the manner in which living systems address and engage the domain(s) in which they operate. This orientation subsumes the manner in which autopoietic theory addresses itself (as a scientific theory) and all other phenomena. A key observation in Maturana's early work is that the nervous system is 'operationally closed' (i.e., its transformations occur within its bounds). Ongoing behaviors, which to an observer seem linked to the external "world", are enacted solely with regard to the closed state of the nervous system. Any reference to entities in the environment is indirect, because a cognizing system engages the 'world' only in terms of the perturbations in its nervous system. To the extent that the nervous system recursively interconnects its components (as in our brains), the organism is capable of generating, maintaining and re-engaging its own states as if they were literal re-presentations of external phenomena. Such states are 'second-order' in the sense that they are derivative from, rather than literal recordings of, experience. These states are called descriptions in autopoietic theory, and an organism operating within the realm of its descriptions is an observer. The combination of the nervous system's operational closure and the notion of descriptions imposes a character of distance or artificiality to the means by which observers can reflect upon, or interact with each other about, their environment. With regard to individual reflection, this implies that cognitive systems engage only their descriptions -- hence always at least one step removed from the phenomena they may naively believe to be directly or objectively manifest. As such, engagement with the environment cannot be described as a process of 'information transfer' in the sense that the observer acquires or absorbs 'information' from outside. These points describe the observer in terms of being a particular sort of system. The next step is to explore the operations of such a system which make it an observer (i.e., its 'observation'). "An observer is a ... living system who can make distinctions and specify that which he or she distinguishes as a unity, as an entity different from himself or herself that can be used for manipulations or descriptions in interactions with other observers." "Observing is both the ultimate starting point and the most fundamental question in any attempt to understand reality and reason as phenomena of the human domain. Indeed, everything said is said by an observer to another observer that could be him- or herself." First, the precise form(s) and function(s) by which systems are distinguished are unavoidably imposed by whatever observer is addressing them. The qualification of any observation with respect to the vantage point of a given observer makes autopoietic theory inherently relativistic with respect to the person of the observer. Second, the resulting qualification of any set of observations over time with respect to the vantage events of a given observer makes autopoietic theory inherently relativistic with respect to the history of the observer. Third, since shared or collectively negotiated descriptions of experience (e.g., recollections [past], consensus [present], plans [future]) are qualified with respect to the interactions among given observers, autopoietic theory is inherently relativistic with respect to the persons of interacting observers and their joint history of interactions. As such, the biology of cognition implies an epistemology (view on knowledge and knowing) analogous to that of constructivism -- the view that knowledge of the world is 'constructed' by the knower, and hence must be qualified with respect to the person(s) of the knower(s) being referenced (cf. the work of Heinz von Foerster, Ernst von Glasersfeld, and Jean Piaget). Because the biology of cognition / autopoietic theory is attempting to describe and explain biological and cognitive phenomena with attention to the essential circularities cited earlier, it is necessary to contextualize the theory as a theory. This is necessary because without characterizing the theory in terms consistent with its basic orientations, it will likely be evaluated in the same way as positivistic scientific theories -- i.e., as a set of descriptive / explanatory hypotheses presumed to unambiguously denote objective things within an objectively-manifest world. Such an evaluation will be biased in the sense that it presumes as unquestionable elements which to Maturana and Varela must be qualified with respect to the observer. Because the biology of cognition / autopoietic theory proceeds with primary regard to the observer, it can only be consistent if its orientation to theory is itself qualified with respect to observers. Although the basic analysis of what 'theory' might mean is implicit in the core literature from the 1970's, Maturana found it necessary to return to this topic and extensively present his positions during the 1980's. The key concept underlying Maturana's views on theory is that of explanation. "...[A]n explanation is always an intended reproduction or reformulation of a system or phenomenon, addressed by one observer to another, who must accept it or reject it by admitting or denying that it is a model of the system or phenomenon to be explained." "An explanation can be characterized as a form of discourse that intends to make intelligible a phenomenal domain that has been recorded. ... [W]hen some domain is deemed explained, and thus rendered intelligible, it is so in reference to a social group of observers." In other words, explanations are categorically distinct from their subject phenomena. This is a key point which is often blurred even among adherents of autopoietic theory, and which is typically ignored in conventional positivistic sciences. If one presumes the world is an objectively-extant thing comprised of objectively-categorized elements, a theory (i.e., an explanation) is assumed to 'mirror reality', and little or no thought is given to how the theory may be qualified with respect to the particular observer(s) generating and/or adopting it. "[E]ach manner of listening of the observer that constitutes a criterion for accepting explanatory reformulations of the praxis of living defines a domain of explanations, and the observers who claim to accept the same explanations for their respective praxes of living." This last quotation implies that different explanations will serve as distinct referential contexts, and that distinct communities of observers accepting those explanations will be oriented to, and proceed with regard to, those explanations. Basically, such an explanation is a theory, and the community of observers incorporating that theory into their praxes of living are its adherents. Maturana (1988a) uses the label explanatory path to denote a composite or encompassing viewpoint or perspective -- the sort of thing we typically take to be a theory or meta-theory. With more specific regard to the fundamental stance adopted in providing an explanation for human cognitive capacities, Maturana identifies two basic explanatory paths. These two paths are distinguished by whether or not they involve parenthesis -- a rhetorical / illustrative device employed by Maturana to qualify and clarify his discussion. The point of invoking 'parenthesis' was so Maturana could avoid compromising his non-'objective' orientation in the course of presenting and defending that orientation through the use of admittedly 'objectivity-tainted' language. The conventional epistemological stance (at least in the West) is one in which discrete referents in the world (i.e, 'objects') in fact are 'there' and 'are there just as they seem (to anyone)'. Within the explanatory framework of autopoietic theory, this position is untenable, because it prioritizes features of the medium a priori, without qualification to the process of observation by which those features are educed / apprehended. However, the fact that we are immersed in social, cultural, and disciplinary modes of interactivity predicated on such 'objectivity' makes innovative theorization on cognition (such as autopoietic theory) an exercise in paradox. To overcome this conceptual problem, Maturana introduced 'parenthesis' to surround, and hence qualify, the objective-style language in which he was yet obligated to present his theories. "The assumption of objectivity is not needed for the generation of a scientific explanation. Therefore, in the process of being a scientist explaining cognition as a biological phenomenon I shall proceed without using the notion of objectivity to validate what I say; that is, I shall put objectivity in parentheses. In other words, I shall go on using an object language because this is the only language that we have (and can have), but although I shall use the experience of being in language as my starting point while I use language to explain cognition and language, I shall not claim that what I say is valid because there is an independent objective reality that validates it." This led Maturana to his presentation of the two explanatory paths mentioned above. These are the paths of objectivity-in-parenthesis and the path of objectivity-without-parenthesis. The path of objectivity-without-parenthesis is the one best known from Western science. This entails the presumption that statements made about an "objective" world independent of the explaining observer have actual validity -- i.e., such statements are not diluted by qualification of that "objective" status with respect to (a) that observer's biological constitution or (b) whatever apprehensional or interpretative peculiarities derive from her immersion in her praxis of living (experience). "...the observer implicity or explicitly accepts his or her cognitive abilities, as such, as his or constitutive properties, and he or she does so by not accepting, or by rejecting, a complete enquiry into their biological origin." "In the explanatory path of objectivity-in-parenthesis, the observer system explicitly accepts: a) that he or she is, as a human being, a living system; b) that his or her cognitive abilities as an observer are biological phenomena because they are altered when his or her biology is altered; and c) that if he or she wants to explain his or her cognitive abilities as an observer, he or she must do so showing how they arise as biological phenomena in his or her realisation as a living system. Moreover, by adopting this explanatory path, the observer has to accept as his or her constitutive features all constitutive features of living systems, particularly their inability to distinguish in experience what we distinguish in daily life as perception and illusion." The single most detailed discussion of these constructs is to be found in Maturana (1988a), in which he provides (p. 32) one of his rare illustrations (termed the ontological diagram) laying out the relationships between these two modes of explanation. The ontological diagram is illustrated below. The path on the left side of the ontological diagram represents objectivity-without-parenthesis. This path acknowledges only a single objective 'universum', and explanations generated within this path are directed toward that single object of reference. Because this path invokes a foundation which transcends the observer's / explainer's own biology and cognition, it generates a domain of 'transcendental ontologies'. The path on the right side represents objectivity-in-parenthesis. As a secondary or corollary commitment in this path, the observer must accept any and all constitutive features of living systems -- most particularly their imputed inability to distinguish (within the scope of their experience) between perception (i.e., apprehension of something objectively existent) and illusion (a misapprehension of something objectively existent). This has the effect of opening the doors for multiple -- even infinite -- viable or valid explanations, as well as an equivalent diversity of explanatory domains. As such, this explanatory path allows for a multiversum instead of a unary universum. Explanations generated within this path are qualified with regard to the biology and cognition of the observer(s) involved. Because this path must pay attention to the constitutive features of living systems, it generates a domain of 'constitutive ontologies'. The biology of cognition / autopoietic theory is an explanatory framework generated along the explanatory path of objectivity-in-parenthesis. In terms of fundamental orientation to 'reality', the biology of cognition / autopoietic theory is presented within the domain of constitutive ontologies. This completes your orientation to the background for the biology of cognition / autopoietic theory. If you wish to learn more, the next step is to proceed to Tutorial 2 (Concepts and Constructs) to explore the key elements of the theory.